Once a writer, always a writer . . .
What would you do if you came back as a ghost? You could finally write that novel . . .
At night, Arnold haunts the magnificent underground Mystic Caverns of Appalachia. 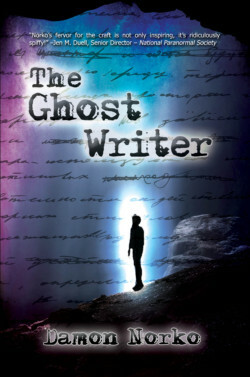 But during the day, Arnold becomes The Ghost Writer, the first “literary voice from beyond the grave.” Yet before Arnold can capitalize on his fame, he must first exorcise the “ghosts” of his own past. And it is easy to become bitter when one is dead . . .
Fortunately, Arnold’s world is rocked when he meets Clarisse, a 15-year-old fatality of a car accident. Her fresh outlook and spunky energy awaken Arnold to the real possibilities of post-life existence. Clarisse inspires a quest that takes Arnold to the farthest reaches of the universe, and deep within himself. It’s not easy being a ghost. Especially when you have a wife and kid and you are trying to hold down a job. 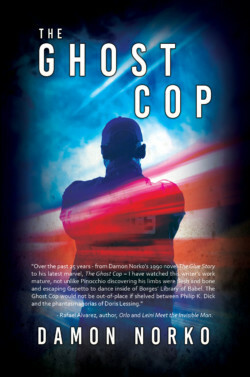 Meet Thad Springer, a “ghost cop” who investigates paranormal activities committed by fellow ghosts. In the course of his latest case, which also involves his precocious young son, he may have uncovered the secrets of the universe. Unfortunately, Thad’s employer, the dynastic Orpheum Corporation, has other plans for them. Yet in its haste to control man’s destiny, the corporation may have overlooked some fundamental truths.